Laurence Payne (known to his acquaintances as Jim) was born in Oxford, England, and gained an Open Scholarship at Bristol University to study veterinary science. He graduated with the BVSc degree and MRCVS in 1956, and a PhD in avian immunology in 1961. He left Bristol to join the Leukosis Experimental Unit at the Houghton Poultry Research Station. Early work established that the leukosis complex included various forms of leukosis caused by retroviruses and Marek’s disease (MD) lymphoma caused by a herpesvirus. In 1966 Jim was awarded an Eleanor Roosevelt International Cancer Fellowship to work for a year at the USDA Regional Poultry Research Laboratory, East Lansing. Up to his retirement in 1997 he studied many aspects of these diseases. Achievements included: experimental transmission of MD; recognition of the genetic basis of cellular susceptibility to avian leukosis/sarcoma viruses of subgroups B, C and E; recognition of genetic transmission of endogenous avian leukosis virus (ALV); recognition of early transformed bursal lymphoid follicles in lymphoid leukosis; use of live attenuated MD virus as a vaccine against MD; recognition of MD lymphoma as a T-cell neoplasm; studies on the epidemiology and eradication of ALV in commercial chickens; and discovery of subgroup J ALV as a cause of myeloid leukosis in meat-type chickens. Jim has published 244 scientific publications. In 1976 he was awarded a DSc by Bristol University for his submitted works. He has held various scientific, veterinary and poultry industry committee positions, including Secretary/Treasurer, President (1993-97), and Honorary Life President of the World Veterinary Poultry Association, and Editor-in-Chief of Avian Pathology journal. 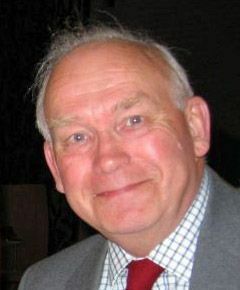 Awards have included the Tom Newman International Research Award for Poultry Research (Conjointly); Distinguished Service Award (Poultry Industry); Karla Sobry Memorial Medal, Brno; Gordon Memorial Lecture; Joszef Marek Memorial Medal, Budapest; and the appointment of Officer of the Order of the British Empire (OBE) for services to science. Jim is married to Dinah (a vet), and they have three children, Julian, Joanna (a vet), and Nick. His recreations have included Pony Club activities, dinghy sailing, membership of Round Table and Rotary, countryside rambling, dog agility, indoor bowls and stamp collecting.